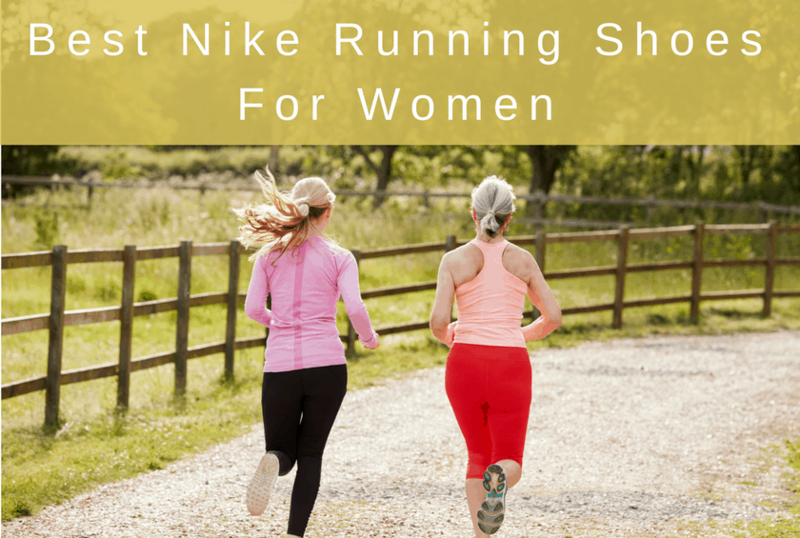 We’ve reviewed nearly every Nike running shoe available today and have come up with the best for women runners. Nike began as a running company. They used waffle irons to experiment with traction patterns for track runners at the University of Oregon. Runners themselves, the founders tailored shoes to runners’ performance needs. They continue this today, although they’ve significantly upgraded their technology. Today their running shoes are known for looking great and while providing the support and protection needed for runners. Depending on your needs, they offer lightweight neutral shoes, lots of cushioning, support shoes, and trail shoes. We’ve selected the best Nike running shoes for women in 2018. Our reviews provide information you can use to select the running shoe that best meets your personal needs. Then lace up and hit the track, road, trails, or wherever your runs take you. 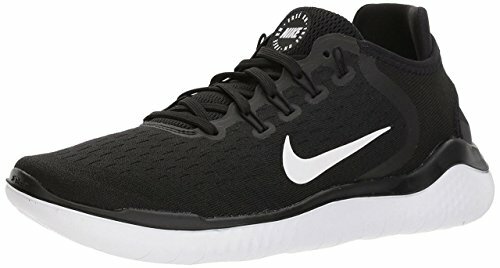 Check out this other article if you are interested in seeing the best Nike running shoes for men where we’ve found the best available right now. Nike crafted the Air Zoom Pegasus out of Flymesh fabric for a lightweight, breathable running shoe that keeps your feet comfortable during your runs. This material manages to be both lightweight and supportive. 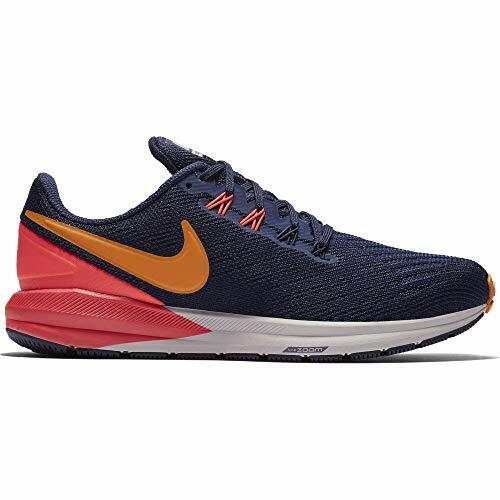 The Pegasus 35 is best suited for neutral runners who want support but don’t need a full-on stability shoe. The Pegasus 35 responds to your movements as you run. The toe and heel areas of the sole contain Zoom Air units. These units join forces with the foam cushioning to propel you forward. Small cuts in the sole promote flexibility while the texture provides traction. The Pegasus 35 has been fully redesigned for women runners. The foam is softer and more responsive compared to the men’s Pegasus. The idea is that women land with less force while they run and don’t need as firm a shoe. Also new to this version is a new upper that stays breathable. But this version has a higher and softer heel tab that cradles the Achilles. The Flymesh and Flywire laces remain for a comfortable yet secure fit. 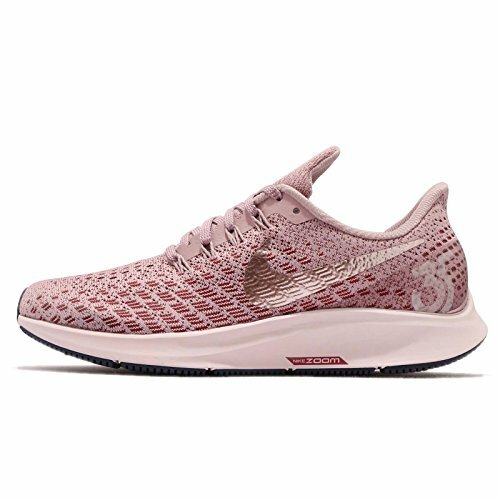 The Nike Air Zoom Pegasus 35 shoes deserve their place on this list of best women’s Nike running shoes for women in part because of their versatility. They work well as an everyday trainer, but function just as well as a long distance race shoe. The Air Zoom Structure is Nike’s premier stability shoe for runners with flat arches who overpronate. Nike’s incredible Flymesh fabric keeps your feet cool. The shoe is lightweight overall, making it cool and effortless to wear. They’ve used Flywire technology as well, which provides customizable support. Tightening the laces lets them hug and support your feet. The support doesn’t end with Flywire. This technology is used with an internal arch band so that you are supported outside and in. This shoe works to hold your arch in place for the duration of your run. 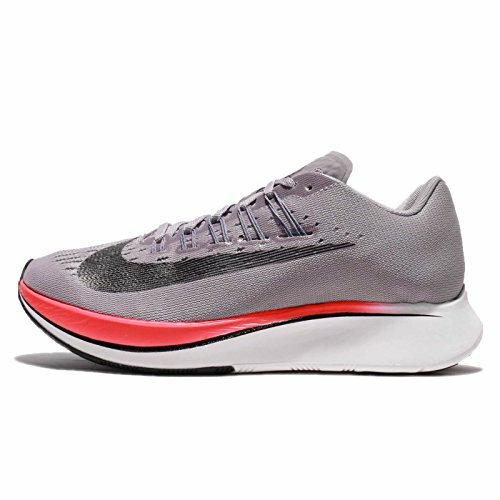 The Zoom Air cushioning in the front of the shoe provides support and a flexible spring to create propel you as you run. Two types of foam cushion the wide outsole of this shoe. Firm foam lies on the arch side to correct overpronation. Your runs will be smooth and stable when you wear this shoe. Enjoy impact protection and support. This will keep you comfortable and running longer. This Nike running shoe is deceptively soft and plush. The Vomero is created for neutral runners doing long distances, including marathon running. But it still provides supports you all the way. 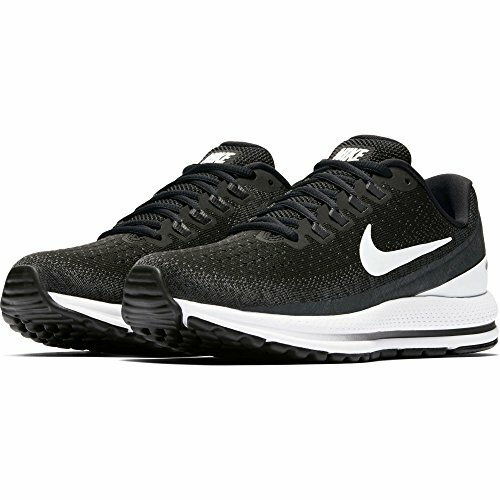 The cushioning comes from Nike Zoom Air technology and Lunarlon foam making it pillowy and soft. But despite the cushioning, it’s a very responsive shoe. You’ll also get extra support near your ankles as they are cradled with a padded collar. 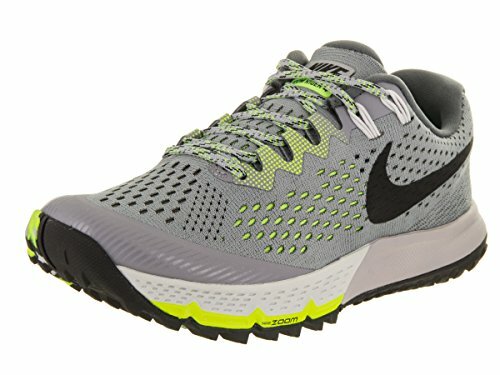 If you are a trail runner searching for a great shoe, Nike comes to your aid with the Air Zoom Terra Kiger 4. The entire shoe, upper and sole, is designed to move swiftly over rough terrain and handle branches, rocks, twigs, and roots with ease. This shoe works well in a variety of terrains. When trail running, it’s important that a shoe’s sole provide protection yet be thin enough to be responsive and flexible. The Terra Kiger 4 finds this balance. Additionally, the waffled outsole is rugged to provide traction on a variety of surfaces, both wet and dry. Nike’s Flymesh upper makes these shoes breathable for ventilation. Zoom air units in the sole’s heel and toe combined with foam in the midsole provide spring and give for cushioned support. 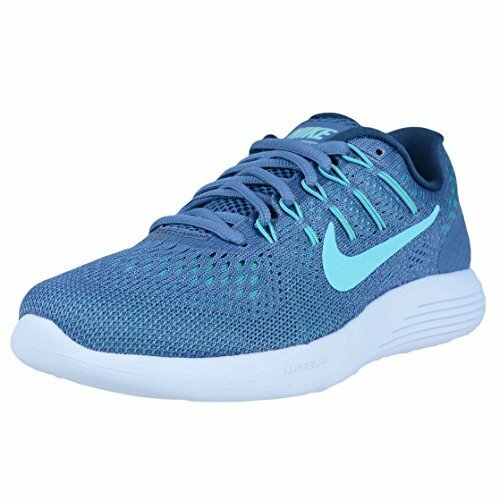 These shoes are among our best Nike running shoes for women because their performance is simply incredible. These performance-enhancing shoes support your strides, your time, and your endurance whether you are engaging in tempo runs, long runs, and races. The shoe energizes you from start to finish due to its unique construction. The responsive shoe absorbs the pressure of a stride and returns it as energy for your next stride. This energy efficiency, coupled with a carbon-infused nylon plate in the midsole, propels you as you run. Nike uses its Lunarlon cushioning in this running shoe as it does in others. Lunarlon is a foam that is firm yet soft. This translates to superior shock absorption and stability. It also enhances the shoe’s responsiveness as you run. Lunarlon’s balance of soft and firm gives this shoe stability as well as exceptional comfort. The Nike Free RN shoe supports your sprint and short runs. Enjoy runs up to 5Ks in these lightweight running shoes. Wear them from point A to point B, or toss them in your bag for the gym. New to the Free RN 2018 is a softer, more flexible upper. It’s soft and collapsible – a good shoe for traveling. It also features a wide strap around the heel for more support and a more secure fit. This lightweight flexibility means that the shoe is responsive as your speed and movements. 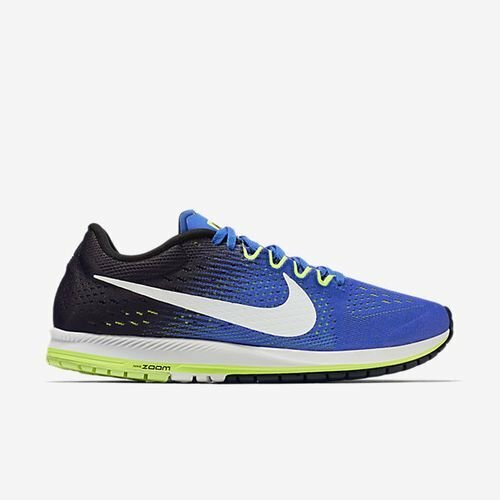 This Nike running shoe has natural movement and a barefoot feel, expanding and contracting with your landing and pushing off. You won’t strain against your shoe as you race or train. You’ll know that you’re not barefoot when you enjoy the security of this shoe. Padding in the heel keeps you comfortable. The Free RN sports a wide strap around the heel that delivers support, structure, and security. This latest version of Nike’s LunarGlide is still designed to glide as you run. Lunarlon technology in the sole creates a flexible cushioning for reactive performance. The shoe’s upper is a breathable knit fabric that works to keep your feet cool as you’re breaking a sweat. The Nike LunarGlide 9 is supportive. Flywire cables n the shoe’s upper adds support without adding bulk or weight. Support comes from below, too, with the same Lunarlon technology that provides flexibility and cushioning. True to its name, the LunarGlide is light and smooth. It keeps you moving forward with ease and comfort as you run mile after mile. This is a racing shoe. Every part of it is designed for optimal performance during competitions and is created to help you run as fast as possible. To achieve forward propulsion, Nike has designed this anatomically to mimic your feet and allow your toes to push off efficiently with every stride. Contributing to the forward push is a Phylon midfoot shank. This works with you and the rest of your shoe for continued, fast forward movement. You don’t need hot feet distracting you and slowing you down. The Flymesh upper ventilates to keep your feet cool whether you’re sprinting or running a marathon. Even the shoes outsoles contribute to the propulsion of the Nike Zoom Streak 6. The traction pattern optimizes your running. Lug sizes vary, and grooves between the lugs push you forward and increase your range of motion.